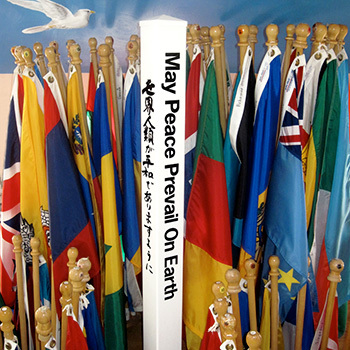 ShopPeace.org is located at The World Peace Sanctuary, at the foothills of the Berkshire Mountains in Wassaic, New York. 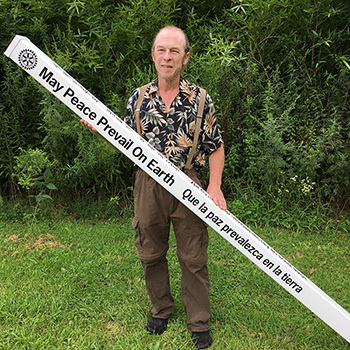 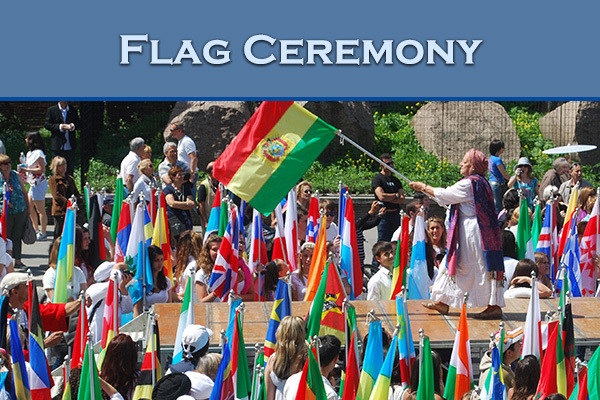 Our classic White Peace Pole can be custom ordered in just about any language. 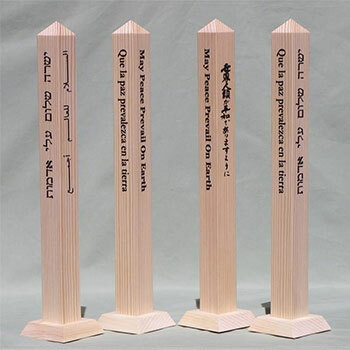 If we don't have your language in stock, we will custom order it for you. 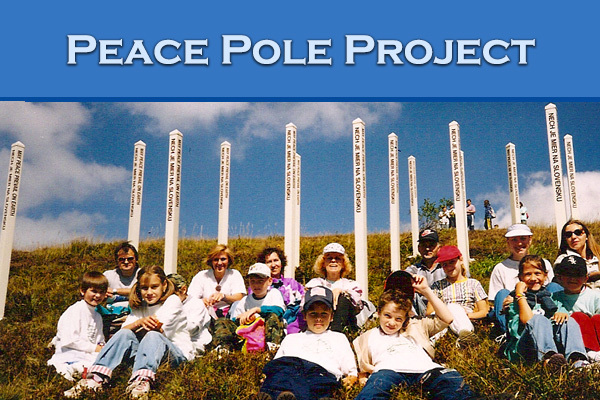 For every Classic White Peace Pole purchased, 10 Trees will be planted in Africa. 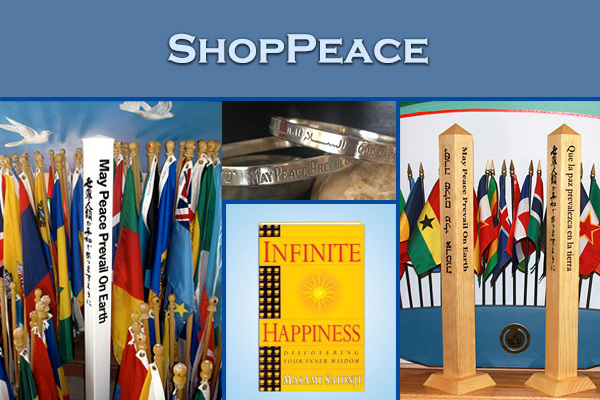 For every other order received by ShopPeace, one tree will be planted in Africa through Trees for the Future. 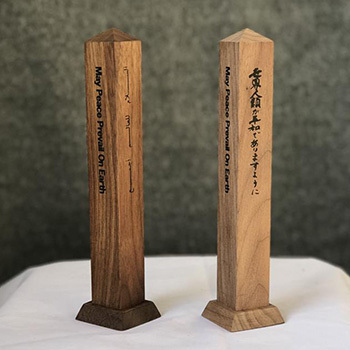 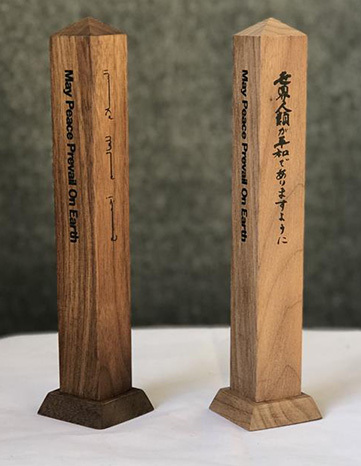 Black Walnut Desktop Peace Pole's in 8” and 17" These were hand crafted at the World Peace Sanctuary from our Black Walnut Grove. 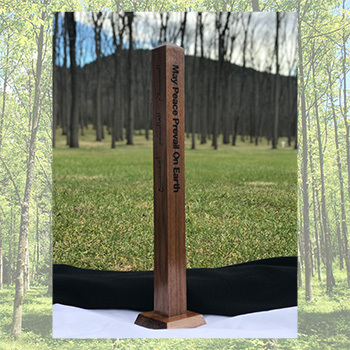 The Black Walnut was sustainably harvested from 100-year-old trees and air dried for over 2 years before being milled. 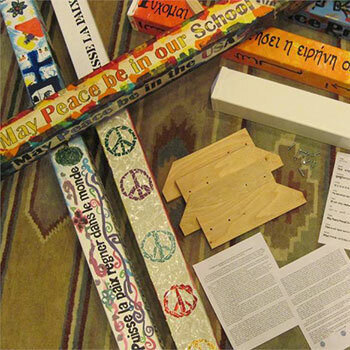 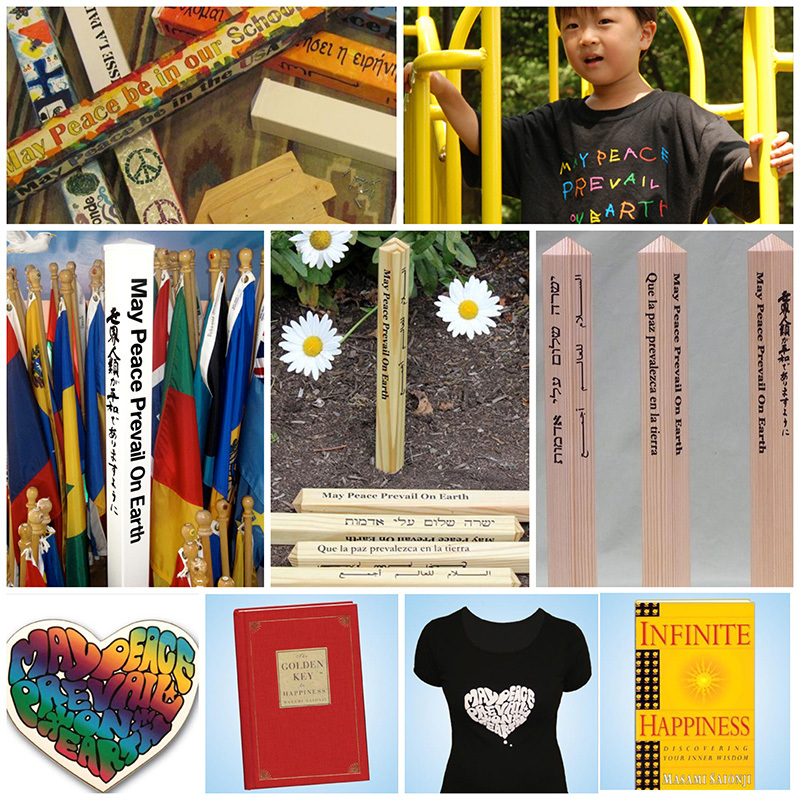 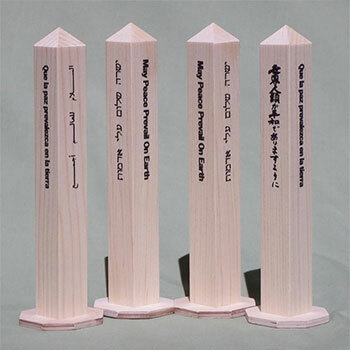 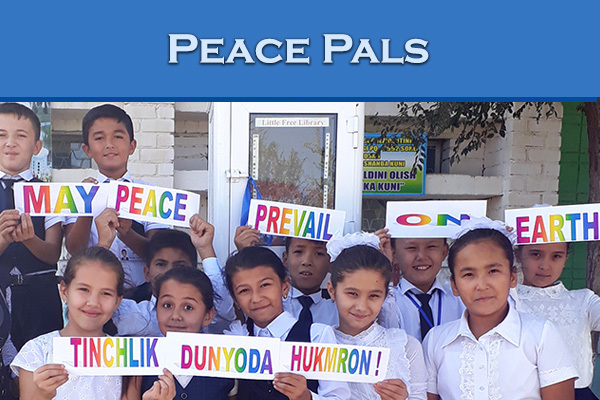 All of these beautiful Peace Poles and other Peace items, can be found on our ShopPeace.org website. 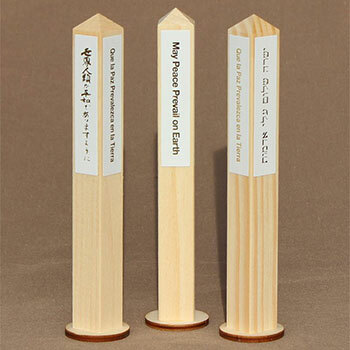 Clicking on an image, will bring you to the product page. 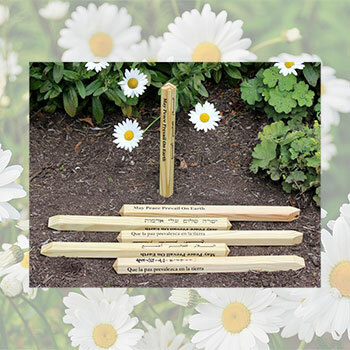 More items coming soon!